A couple of weeks ago the #SMEMchat group discussed crowdsourcing and crisismapping and I’d like to revisit that topic again today. Whenever I give talks on this subject a lot of people indicate that they have never heard of crowdsourcing. But the wikipedia definition is fairly straightforward: Crowdsourcing is the act of outsourcing tasks, traditionally performed by an employee or contractor, to an undefined, large group of people or community (a “crowd”), through an open call. Jeff Howe, one of the first authors to employ the term, established that the concept of crowdsourcing depends essentially on the fact that because it is an open call to an undefined group of people, it gathers those who are most fit to perform tasks, solve complex problems and contribute with the most relevant and fresh ideas. 1. The provision of intelligence/information. 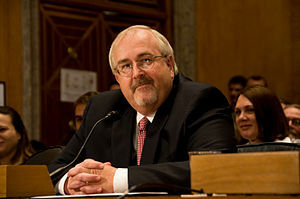 During this past week’s Senate Committee on Homeland Security & Governmental Affairs hearing on the importance of social media in emergency management, the Administrator of FEMA, Craig Fugate, alluded to crowdsourcing by referring to citizens as sources of information. The “task” that is being outsourced is simply the task of providing information from the field. This information answers the first question after a crisis: What just happened? If people in emergency management are uncomfortable with data provided by the crowd via social media, then this second type of crowdsourcing is even more uncomfortable: Asking the “crowd” to help gather and sort this data. The emergency management community, however, should understand this concept because it has become a reality after every recent disaster. …to connect a global network of volunteers who use creative problem solving and open technologies to help people and communities in times and places of crisis. CrisisCampers are not only technical folks like coders, programmers, geospatial and visualization ninjas, but we are also filled to the brim with super creative and smart folks who can lead teams, manage projects, share information, search the internet, translate languages, know usability, can write a research paper and can help us edit wikis. 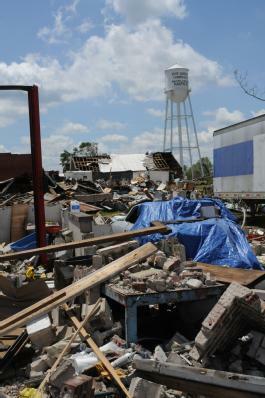 The recent tornadoes provide a great example of all of the above mentioned groups’ work. One of the task they are currently performing can be boiled down to one sentence: matching need with the desire to help. This, of course, is fundamental task after a crisis: all disaster plans have Volunteer and Donations Management Support Annexes because it is well understood that if not well organized and planned for, volunteers and donations can sometimes hinder instead of help the response and recovery efforts. Furthermore, volunteers that are turned away can become vocal about not being “allowed” to help, creating a political problem for the responding organizations as well. One of the main tasks these new volunteer organizations perform is what Patrick Meier, co-founder of CrisisMappers, describes as crowdfeeding: providing information from the crowd for the crowd–skirting or bypassing the “official” response organizations altogether. How is this done? New communications technologies, such as social media, allow people to broadcast their needs to anyone willing to listen. Above is an example of a “tweaked” or MT–modified tweet, by a Humanity Road volunteer. The stated need was posted by the Salvation Army, who tweeted that they are serving meals for volunteers (the hyperlink provided allows those interested in helping serve get more information). RVAREGal simply tweaked the information so that it could easily be read by a computer for inclusion in a database. She added hashtags for #need, #info and location #loc. As this database of information is built, it can then be upload into a visualization platform, such as Ushahidi. This has been done in support of the southern storms and you can view it at Alabama Recovery Information Map. The Ushahidi map is a not only a visualization of the information, but also creates an entire ecosystem: links to original source, the date it was submitted (which is key since this information does expire); a description of the information and additional reports with similar data; as well as a form to submit needs or resources directly. In conclusion, I always like to ask: what are we learning? Non-governmental organizations and the volunteer technical community are working to gather data from the crowd after a crisis and put it into platforms easily used and understood by the general public–they are not waiting for permission by any government agency, and they are usually not registered as a “VOAD”. The public freely shares information about their situation (I need help/I can provide help) on social platforms that can be seen by anyone in the world–not just local response officials. Response organizations could turn to the volunteer technical community for help in sorting through large amounts of data after a crisis in order to process it into usable information. For more information on the origins and descriptions of crisis mapping see “What is Crisis Mapping? An Update on the Field and Looking Ahead” by Patrick Meier. 1. 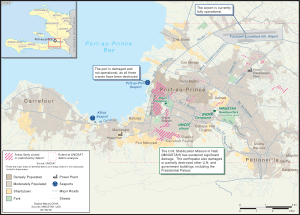 Response organizations in Haiti mostly had to rely on low-tech solutions for mapping since the country had little technology infrastructure. Paper maps were the norm for those working the response on the ground. Information gaps existed, according to some, due to a lack of technology and spatial awareness of both the citizens in the affected country and the response community. Information overload on the ground is what stops most collaboration/coordination from happening. No matter how many digital maps are made, ultimately, decisions are made from sitreps and verbal agreements on the ground. Therefore, there are real challenges in incorporating crowdsourced information into established organizations and data flows. 2. Finding information about the affected area was sometimes easier to gather from those not in the impacted zone (e.g. , those in the Diaspora), although getting that information into the hands of responders in the field was a challenge. Discovering information about a particular place doesn’t always have to come from survivors. Sometimes a “local” can be physically very far from the disaster location (a large number of ex-patriots wanted to help and had first hand knowledge of the impacted area). Ushahidi’s best accomplishment could very well have been crowdsourcing volunteers. Crowdsourcing also occurred in traditional organizations. The World Bank’s Galen Evans described how over 600 earthquake engineers were essentially crowdsourced to analyze aerial data. Everyone wants to help in a disaster, but we should think about what experts can be utilized during an event before the event. Was the information coming from SMS texts reliable? Christine Corbane from the Joint Research Centre explained how their research found geo-tagged, crowdsourced SMS text messages highly correlated to the spatial distribution of building damage intensity in Port-au-Prince. 3. The crisis mapping community can add value to the response community, but processes to do so need to be established. But, creating a common language among cartographers, humanitarians and beneficiaries is tricky: we need to develop baseline cartographic literacy. How does the tech community fit into the UN cluster groups? Can the crowd be used for data processing and data cleaning? Why didn’t these groups coordinate during the event? Everyone was overloaded, pre-event coordination needs to occur. The keys to success will be shared standards, shared situational awareness, and shared goals. Standard operating procedures should be put in place to help govern this information sharing. 4. Affected populations or nations can and should be empowered to help themselves. Ushahidi representative noted how empowering the local community in Haiti was key, and the locals eventually took over information curation. The Grassroots Mapping Network discussed how simple technology can be employed for data anaylsis: anyone can use their kit to fly a kite or balloon with a camera attached and gather data without the need for a satellite connection. This inexpensive solution can help communities do their own mapping. A representative from Development Seed discussed how we should think about needs first and technology second because there are many places that have limited technology capabilities. He stated:”This is why we are building really tiny software” and introduced maps on a stick, or maps on USB drives loaded with spatial data for low resource settings. This can help people in the field, even those that don’t have internet connections. For a complete summary of each speaker, see the blog of Jillian C. York who transcribed the talks as they occurred. For a more complete after action report on Crisis Information Management during the Haitian earthquake: see: “Haiti and Beyond” by the ICT for Peace Foundation, March 2010. How are Universities currently using social media? How do we engage students in emergency preparedness through social media? What are some social media best practices? What is crowdsourcing and how could it be utilized to create interactive applications or multi-media tools in order to increase students’ emergency preparedness? What tools exists to collect, filter, verify & aggregate data?